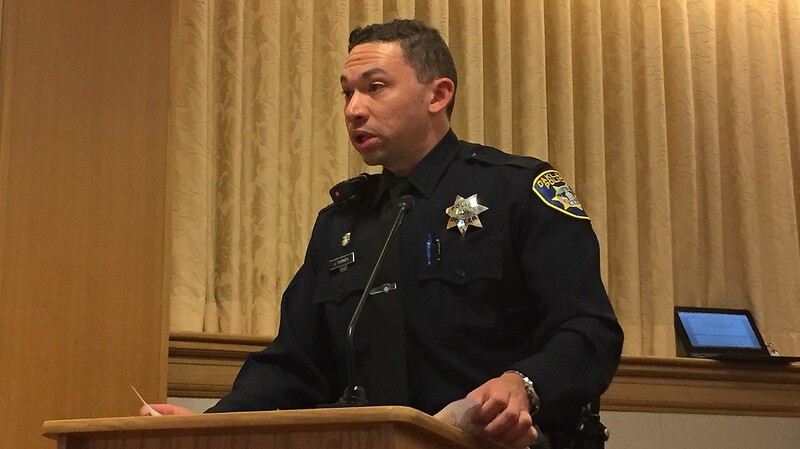 Oakland police officer Joseph Turner said the department’s revised search policy is part of the new intelligence-based policing strategy. While the problem of mass incarceration has received enormous attention and resulted in reforms to reduce the numbers of people locked up in prisons and jails, there hasn't been an equal focus on two other crucial areas of the criminal justice system. Probation and parole are essentially extensions of jail and prison, and the number of people on probation and parole has exploded in recent decades. Even though they're not in a cage, probationers and parolees are not free. Crucially, most are subject to warrantless searches at any time by any police officer. In fact, to search a probationer or parolee, an officer isn't even required to have reasonable suspicion — the minimal cause an officer normally needs to initiate a stop. In over-policed communities, these types of searches have long caused friction. That's because cops ask people about whether they are on probation or parole even if they've only pulled them over for a broken tail light or similarly low-level infraction. For those not "on paper," as probation and parole status is sometimes referred to, this question can feel demeaning and disrespectful. In some cases, it also appears to be a direct product of racial profiling. For those who are on paper, being stopped and suddenly subjected to a mandatory search can be disruptive as well as unnecessary when they may be simply going to school or work. "If you get pulled over, if you're African American or Latino, and you got tattoos or anything like that, they'll ask you if you're on probation or parole," said Dauras Cyprian. "You have to say 'yes' if you are, because they'll run your name through the computer and find out anyway. And then they'll search your car." Cyprian served a 26-year sentence in state prison and was paroled several years ago. Today he works with All of Us or None, an organization of formerly incarcerated people pushing for criminal justice reforms. Cyprian said the police have been known to use probation and parole status to conduct otherwise unnecessary stops and searches. He said the law currently gives police a means of harassing those who are on probation or parole. And Cyprian said it undermines police-community relations. "It's a trust issue," said Cyprian. Troy Williams, a media activist and organizer who served an 18-year sentence in San Quentin State Prison, said regardless of the intentions of the police and courts system, these types of intrusive searches constantly remind a person that they're stigmatized. While probation officers, police, and prosecutors speak in terms of "rehabilitating" the convicted, probationers and parolees say their lack of privacy rights can undermine that goal. "When does my sentence end," said Williams. "When do I get to really be treated like a citizen?" Now, the Oakland Police Department is reevaluating its probation and parole search policy. It's one of the first police agencies in the state to reconsider how and when its officers ask about a person's probation or parole status and whether or not to conduct a warrantless search. The policy change comes as one of several responses to a series of Stanford studies that revealed glaring racial disparities among those stopped and searched by the Oakland police. At a police-community forum earlier this summer at Laney College that was attended by about a dozen juveniles on probation, almost all of them Black, Oakland Police Chief Anne Kirkpatrick was asked by some of the youths why, so often, the first thing out of a police officer's mouth when they approach is, "Are you on probation?" Kirkpatrick acknowledged that this type of interaction is a problem and mentioned the policy change that's in the works. The department's existing probation and parole search policy, contained in a training bulletin last updated in 2013, states that officers are "encouraged to focus on developing a rapport with community members and refrain from immediately asking if a person is on probation or parole." It also states that searches shouldn't be arbitrary, capricious, or harassing. In addition, the bulletin advises that the officer's motivation to carry out a search shouldn't simply be to "re-incarcerate the individual" but rather to "prevent any future criminal behavior." A draft of the new policy adds that officers will now be required to "document articulable facts supporting a decision to search" probationers and parolees. For those who are on probation or parole for committing a violent, weapons-related crime, OPD officers are directed to conduct a search. But the new policy appears to steer officers away from searching a person who is merely on probation or parole for a non-weapons-related and non-violent crime. Instead of automatically searching, the officer is advised to consider the entire context of the stop and whether a search will advance the rehabilitative goals of probation and parole and ensure public safety. If officers follow this guidance, it would be a significant departure from the practice of virtually every other police department in the state. "Just because they can do something doesn't mean they should do something," Tim Birch, OPD's research and planning director, said at a recent police commission meeting where the policy update was discussed. Birch said that routine warrantless searches don't advance the department's new focus on intelligence-based policing, which seeks to focus the city's stretched police force on actual known criminal activity.